Miss Pat decided to make a matching game using punctuation marks after teaching punctuation for the past few weeks. Most of the class knew the names of at least two of the marks, but were still having trouble with the names of the other punctuation marks. Why don’t you go to the “Can Do” club house, choose games, choose punctuation game and see how you do matching the names of the punctuation marks to the marks? When the “Can Do” kids entered class on Friday morning, they noticed there was a paper plate at each one of their places around the table. There were also crayons at each of their places, but, wait a minute, everyone got the same five colors of crayons! Miss Pat waited until everyone was seated to give each “Can Do” a plate that had four different colored sections on it and a separate circle that had blue in the middle. Then Miss Pat asked, “Does anyone know where this plate, this guide for good eating, comes from?” Well, of course Orrie knew and he shared with the class that this plate guide comes from the US Dept of Agriculture, which is sometimes called the USDA for short. 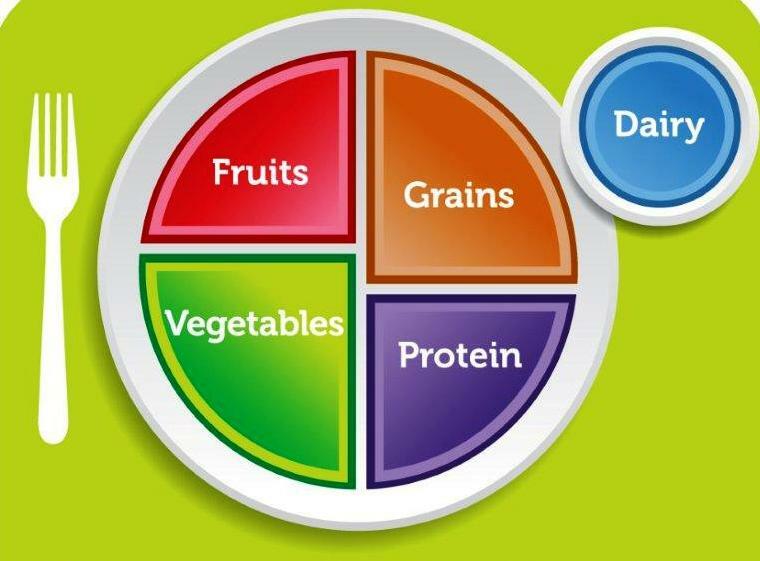 He went on to share that the USDA had a whole site called ChooseMyPlate.gov and it explains all about what food belong in each section of the plate and in the blue circle. The room grew quiet as the “Can Dos” first drew on their plates, then colored them in to match the colors on the example that Miss Pat had given each of them. They also colored in the small circle in blue. Then it was time to use a marker to fill in what belonged in each section they created and colored. Red was labeled fruits. The orange section was labeled grains. The green section was labeled vegetables, which made sense since so many veggies are green! The purple was labeled protein. Well that would take some explaining. The kids knew what fruits and vegetables look like. But, grains…well they were not quite sure about them. They didn’t have a clue what a protein looked like! Most of the “Can Dos” knew what would go in the dairy…things made with milk. When everyone was finished she gave out a homework assignment. “Bring your plate and dairy circle home with you today. Ask a parent or other adult to to go with you to the USDA site at ChooseMyPlate.gov and get some ideas about what foods belong in each section of your plate and in the dairy circle. when you come back to school on Monday we can all share what we learned from going to the USDA site. Why don’t you visit the USDA site with your family and discover what needs to be on your plate to grow healthy and strong? Well, just as she promised, Miss Pat gave the class a quiz on homophones. Why not print out this page and take the homophones quiz that the “Can Do” kids took and see how you do. If you played the Homophones Matching Games found in the games section of the “Can Do” Club House you will know what words to use in each sentence of the homophones quiz. 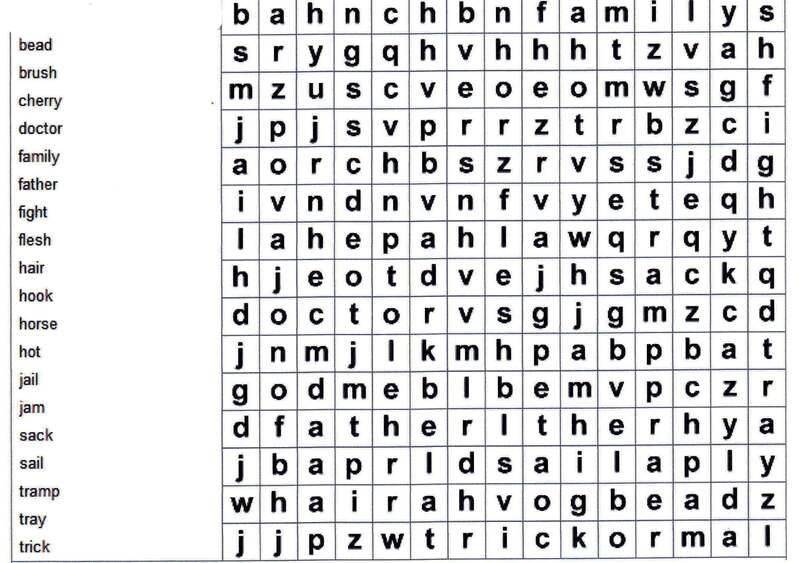 Directions: Fill in the blanks with the right words. 1. Use way or weigh in the following sentences. Mary needs to …………….. the fruit before she pays for it. Jimmy takes the same …………..home from school every day. 2. Use be or bee in the following sentences. Orrie loves to be part of a spelling…………..
3. Use see or sea in the following sentences. 4. Use hear or here in the following sentences. Annie wears something in her ear to help her……………..
5. Use no or know in the following sentences. Do you…………where you are going? 6. Use stare or stair in the following sentences. It is not polite to ……………at people. 7. Use right or write in the following sentences. Doing the ……….thing is always a good idea. Did you ………..to your cousin today? 8. Use meat and meet in the following sentences. We said we would……… in the library. 9. Use weak or week in the following sentences. Next…………I am going to visit my grandma. 10. Use whole or hole in the following sentences. Hector got a stomach ache after he ate the……………candy bar and didn’t share. Bobby threw the ball and made a ………..in his neighbor’s window. Miss Pat was getting ready to teach the class about homophones, those words that sound alike, but have different meanings and different spellings. 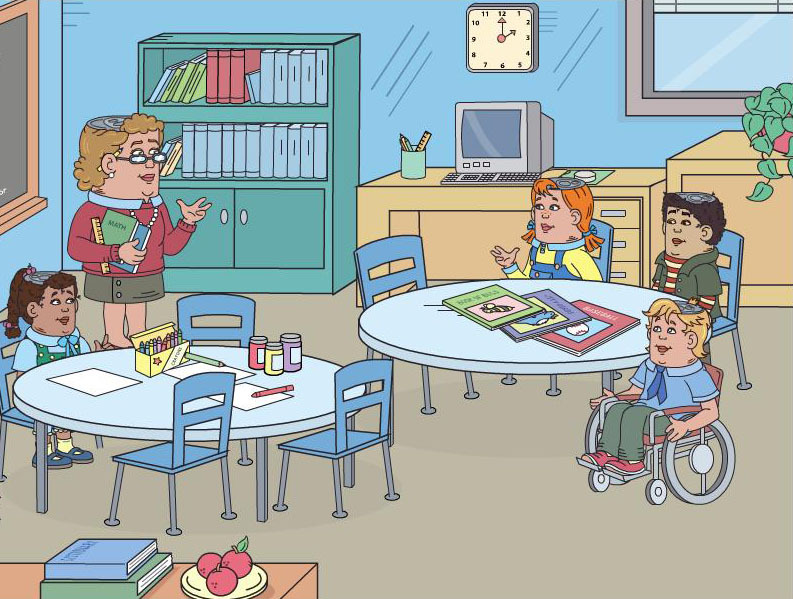 She asked the class, “Can anyone tell me what homophones are?” The whole class stared at her with blank looks on their faces. Even Orrie was stumped! Miss Pat continued, “Can anyone tell me what homonyms are?” Orrie’s hand went up like a shot. When called on, he answered, “Homonyms are words that sound alike but have different meanings.” Miss Pat smiled and said, “Very good, Orrie. “Huh,” said Hector, ” Can you give us a few examples of homophones?” The class nodded their agreement. “Okay,” said Miss Pat here are two examples of homophones. I will even use them in a sentence. I am going to be a witch on Halloween. Which one of you wants to write on the blackboard? Don’t break that glass, or you will have to pay for it. Then Miss Pat had the class go to their computers and play the Words that sound alike games. Want to play along with the “Can Do”Kids? Just go to the “Can Do” Club House, choose games, then choose words That Sound Alike. Well, the daily new vocabulary words were taking longer to learn. Miss Pat knew she had to come up with something special at the end of every vocabulary session to reward the “Can Do” kids for their hard work. Since they love word jumbles she decided to give them a word jumble every time they did well. Here is one they got after a pop spelling quiz. Just print it out and see how you do.